The Masterclass FPA-4 power amplifier is a Pure Class ‘A’ Power Amplifier of 30 watts per channel. 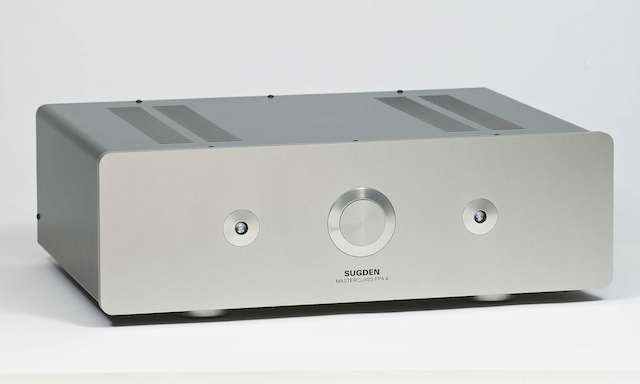 The output stage is of the classic Sugden single ended design which has given musical satisfaction to thousands of discerning music lovers over many years. 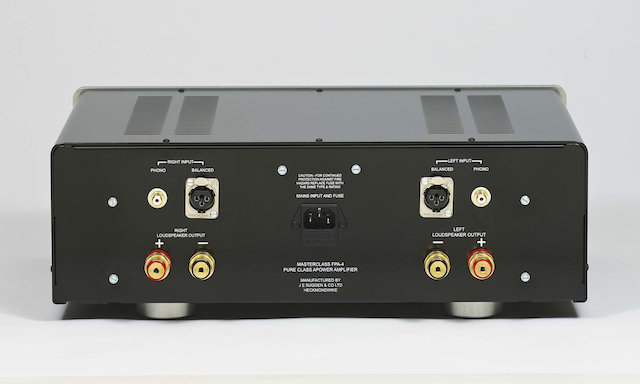 The facilities on the Amplifier include, Phono (RCA/asymmetrical) stereo pair and a pair of stereo Balanced input XLR connectors. Output is via two stereo pair of speaker binding posts with facilities for Spade, Bare wire or Speaker Jack Connectors. The Balanced Input facility is connected to left and right virtual transformer circuits to convert the signals to single ended. This takes advantage of the characteristics of the balanced input which together with the superb performance of the unbalanced circuitry gives the potential for simply more music. The input stage of the amplifier (which is a New Design) has been developed to enhance the overall performance and further exploit the potential of the Class ‘A’ output Stage. It has the characteristics of a very good Valve amplifier with soft clipping and low internal overloads. The phase shift at high frequencies is also extremely low resulting in a very open, uncompressed big and fatigue free sound stage. The amplifier benefits from a comparator and correction circuit so that errors which would occur in the power stage, due to varying loads and distortion, are corrected to match the output of the high impedance input amplifier. Whilst it is maintaining the signal authenticity it is also increases the load stability and forces the output impedance to zero. The Amplifier with Sugden Error Correction has extremely low open loop output impedance with a resultant high damping factor at quite high frequencies. Coupling of the output of the Amplifier to its chosen speakers is via a ‘soft connection’ protection board. It is a static contact switching board using extremely low ‘on resistance’ power mosfets. These devices are timed on and off to enable soundless connection to the speakers however sensitive. 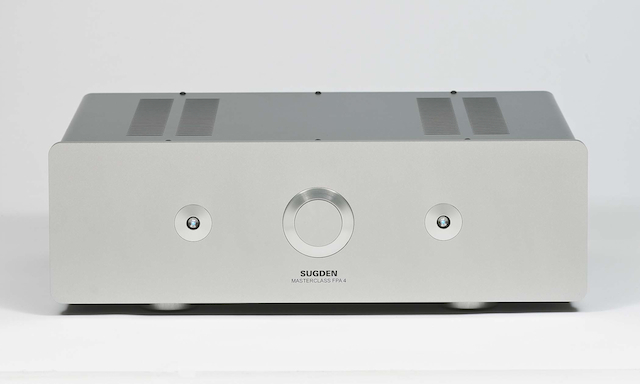 This Amplifier like other Sugden Amplifiers has been designed and developed to give the ultimate musical satisfaction from the myriad of music storage / reproduction sources which now exist. Inputs – Stereo line level & stereo balanced. Input sensitivity – 1V for full output. Power output – 30 Watts into 8 ohms both channels working (depending on input voltage). Frequency response – 0dB 18Hz – 95kHz. Bandwidth – 3dB points 10Hz – 125kHz. Signal to noise – >82dB. Distortion at 1 Watt,1 kHz – <0.04%. Dimensions – 143 x 430 x 350mm (hwd). Recommended Retail Price – AUD$5,495.00.